Wow! I cannot believe it has been almost six months since I have posted! Where has the time gone? Sometimes I feel like the Tasmanian devil has run havoc on my life! When I look back on my life 1 year ago – 5 years ago – even 10 years ago – wow – what a transformation! Not just the obvious physical changes – but lifestyle and family changes as well. Since it has been quite some time since I have updated my blog and shared my life with everyone, I will break down the updates in several posts. Of course being gone for so long I don’t even know if I have any followers anymore. First and foremost I want to say I am truly sorry for neglecting my blog, followers and the ministry of this blog. As I had mentioned above, my life has change immensely these past months and even year. There have been multiple lifestyle, family and physical changes – challenges as well. a) Since the restart of Becoming a Healthier Me in January 2013 I have lost 160 lbs (and continue to slowly loose). 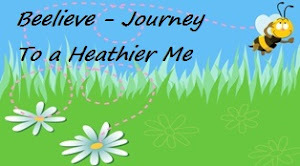 June 18th (date of my gastric bypass surgery) I will celebrate my 1 year Anniversary/Birthday of a New Me! 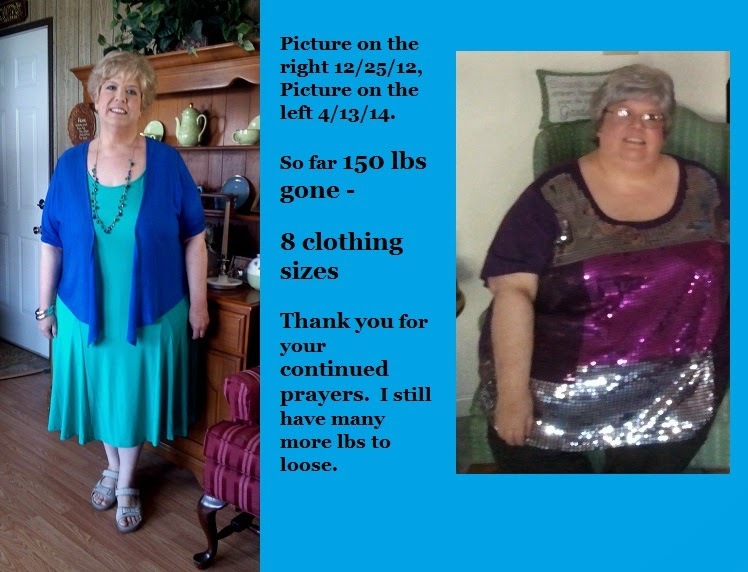 I have had some people comment that I took the easy road to weight loss by having gastric bypass surgery. There is NOTHING easy about gastric bypass! I was one of those less fortunate who had to have the “old fashion” surgery where I was cut from my sternum to belly button! Today, most gastric bypass surgeries are done laparoscopic but because of my size and location of most of my weight I had to be cut open – which needless to say is NOT fun at all and takes longer to recuperate! Gastric bypass surgery is a “tool” to help with the weight loss – especially the first 6 months; but since January 2014 it has mostly been abiding by the choice to eat less and to continue on my Journey to Become a Healthier Me. I can see why the Geisinger WeightLoss Program has us go through at least 6 months of dieting, nutrition classes, support groups, education classes, pych evaluations and so forth before the surgery. They want to make sure you are ready for the multiple lifestyle and body changes that will come about over the next 2 years. They also want to make sure you are a person who truly wants to change for life – to become a person who “Eats to Live NOT Live to Eat”. If you are a person who thinks about food most of the time and LOVES food – then gastric bypass surgery is NOT for you! After the first 6 months the challenge of weight loss is mostly on your shoulder. You either choose to continue to eat less or you stretch that egg-size stomach and gain your weight back. b) The first 3 to 6 months after surgery you lose quickly – which is most helpful since you go through so much physically to have the surgery. For me, there were months I dropped several sizes in just one month! For the most part I am still in plus size clothing, especially in the bottoms. With so much weight loss so fast I have excessive hanging skin which makes it difficult to fit into form fitting clothes – clothes that have zippers or do not stretch. But instead of a size 38 in women’s plus size pants or a 5X or 6X in clothing – I generally wear 18/20 or XL. It really depends on the manufacture and style. c) Exercise – Because of my physical challenges it was difficult to exercise in the beginning. But since April of this year I have been going to physical therapy 3 times a week along with other physical activities I have not been able to do for well over 20 years! If you are able to exercise after surgery – do so! It will make weight loss go faster and help the excess skin as well. But of course when one has over 200 lbs to lose then there will be a large amount of excess skin no matter how much you exercise – just watch “Extreme Weight Loss Edition” on TV. Most of my physical therapy is in the pool because it is less evasive on the joints etc… Unfortunately I still need “new” knees within the next year or so. I have chosen to lose more weight and try to gain muscle strength and mobility so that my body will be able to handle the knee replacement surgery and recovery. d) Body Image - With all the weight loss, at times I still see myself as the girl before surgery. I have kept a few clothing items and I have a photo of my “old self” on my cell phone to remind me just how far I have come on my Journey to Become a Healthier Me. The excess saggy skin is not pretty at all, but my sister-in-law said to me the other week, “Michele, I would think it is better to have the excess skin than to have the excess weight.” You know what? She is right! Yes, I look odd naked with all the excess skin hanging everywhere – but other than my husband and I who else will see me? LOL! At 56 I certainly will not be wearing any bikinis! LOL! PART TWO WILL FOLLOW WITHIN THE NEXT FEW DAYS – I PROMISE! You are inspiring! So glad you're blogging again!